The Kenmore Drive-In Theater, opened in 1953, offered nightly viewing of films, popular with young postwar families who brought their children along in cars. The Metro park-and-ride lot occupies the site today. 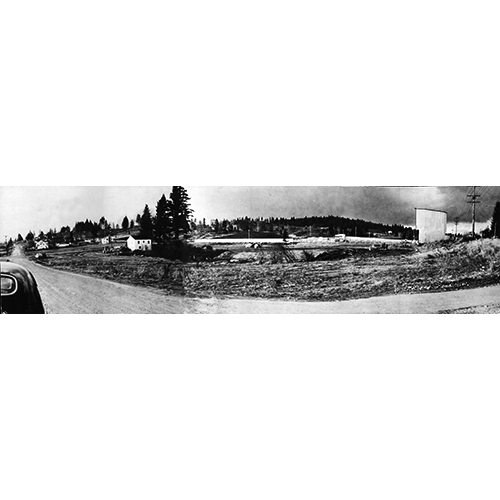 Late 1950s photo from the Bothell Citizen.